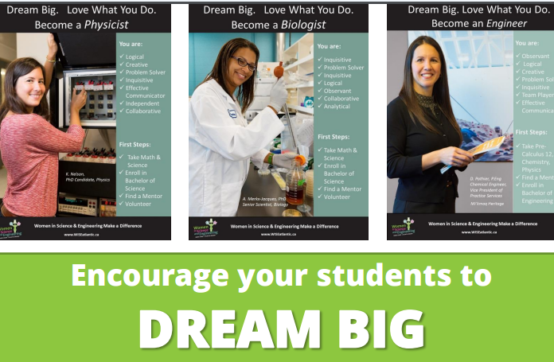 Encourage your students to dream big by displaying our free posters! All students can benefit from our poster series which features women in STEM based careers. Each poster describes common traits for each career, and the first steps to considering the career paths. If you would like a free printed class set of the series mailed to you, contact us! Science IRL is a YouTube series by Molly Edward that is aims to show you what being a scientist is like, in real life. Each episode focuses on one experiment that a scientist would perform, and ties it back to the concepts that students learn in class. Want to know what it’s really like to be a scientist IRL? Watch and find out. Alexis Dainis is a graduate student who creates YouTube videos explaining various aspects of genetics & science in her ‘Bite Sci-zed’ series, and also showcases what it is like to work in a lab environment through her ‘What is this thing’ series. The most common question students ask math teachers at every level is “When will I use math?” WeUseMath.org aims to help to answer this question. This website describes the importance of mathematics and many rewarding career opportunities available to students who study mathematics. This Is Statistics showcases the diversity of careers which involve statistics, and has pages specifically for students, parents, and educator. 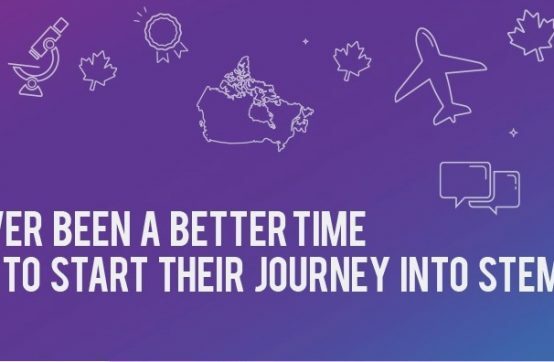 The site includes videos, career profiles, and much more! This website features articles and information about careers in mathematics for students of all levels. The site includes career profiles, and fun activities that involve mathematics. In addition, there is a page of resources for teachers. Discover the stories of women working at NASA in this inspiring video. They also offer videos on women in NASA working in mathematics, technology, and science in their Aspire to Inspire video series!